What is the First Give Programme? First Give work in partnership with secondary schools to help young people to give their time, tenacity and talents to improve their local communities. The First Give Programme is delivered through a fully resourced scheme of work that is interactive and student-led. Over eight lessons, the Programme encourages an entire year group of students to identify social issues in their area and engage with local charities that address them. 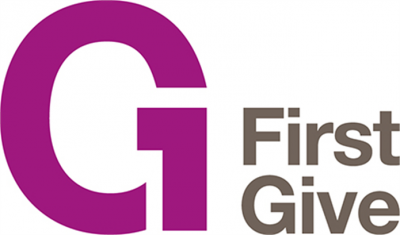 First Give provides lesson plans and resources including PowerPoints, hard copy Student Coursebooks and video links as well as a total of £1,500 grant money for each school awarded to the charities of the three winning teams. In addition to this, First Give will also deliver an Assembly and host the School Final in order to further engage and inspire students. The students will then have the opportunity to compete for £1,500 of grant money for their chosen charity. Teams will do this by advocating for their charity in a school competition. First Give offers all this to schools completely free of charge. How can SPEAR help you do well in your schools competition? Our fundraising team is happy to give a talk on the charities mission and goal while answering any unanswered questions, allowing groups to finish highly in their schools competition. SPEAR has a number of publications online to help you be better informed about our work. You can use information from these in your presentation. For example our Impact Report 2016. Last year, SPEAR was fortunate enough to be chosen by a few groups in various schools of which one – Raynes Park High School in Merton was selected as a winner. Make sure your school is registered and if its not: get your school registered! You can do this by clicking here. Is your school currently not involved with the Programme? To find out more about the Programme and to be redirected to their website, CLICK HERE. To register your school’s interest in the Programme, CLICK HERE.